The DTE performance boxes PowerControl X/RX and the PedalBox+ can be remote controlled via smartphone app. The DTE tuning can be easily switched on or off. And with just a simple wiping over the phone’s display, the driver can choose between the DTE preset tuning programs. 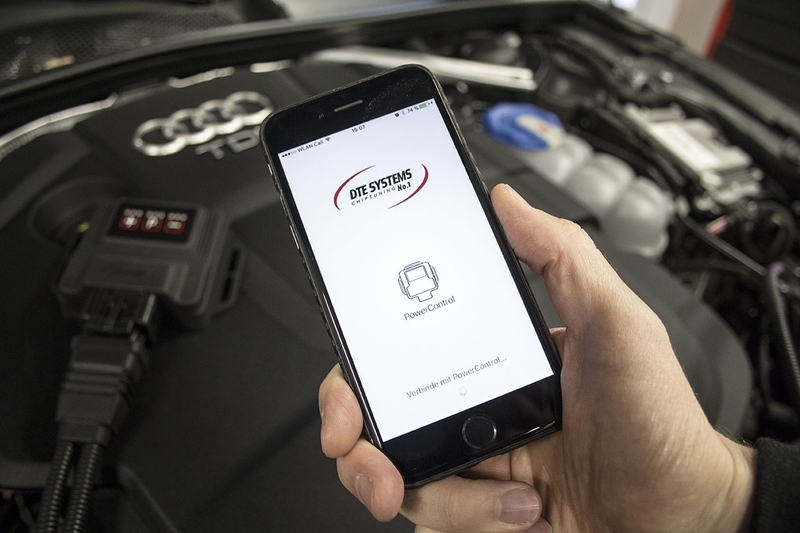 A special highlight of the PowerControl app is the performance instrumentation panel, which displays all the engine’s relevant performance data on the smartphone display. Moreover, using the DTE tuning apps, the driver is always up-to-date with the most recent tuning software releases. The DTE tuning can be switched on or off from the cockpit via the PowerControl app. The various programs can be changed with a simple wiping over the phone. The driver has the choice between the programs Sport, Dynamic and Efficiency. This is how each driver chooses his own driving profile. 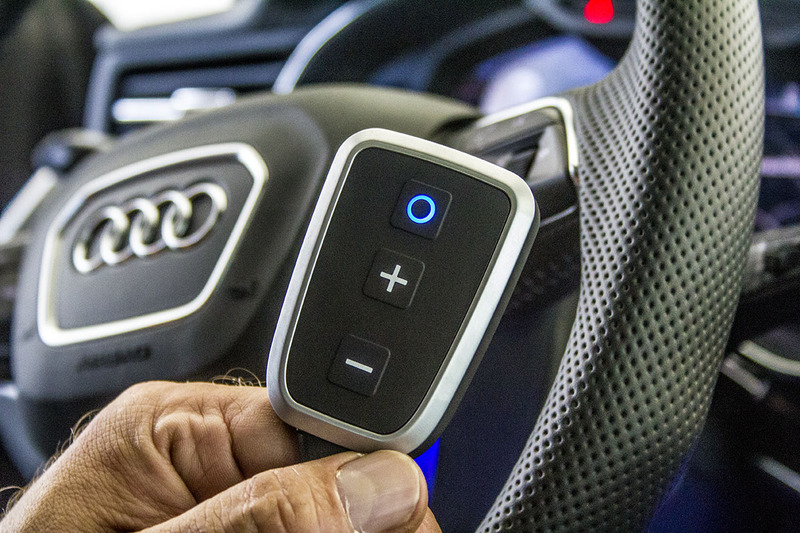 With the touch of a button, the driver selects his personal tuning set and can change it at any time via smartphone. The PowerControl app is available free of charge from the app stores iTunes and Google Play. 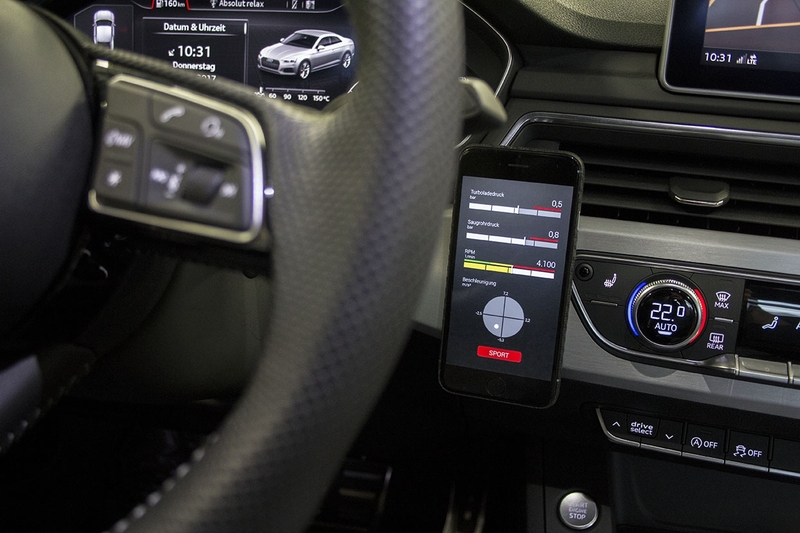 A special highlight of the PowerControl app are the performance instruments, which display all relevant engine performance data live on the smartphone display. 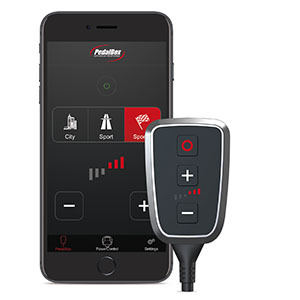 This informs the driver about the current engine performance in his car and thereby maintains complete control of the DTE tuning while driving. The complete package of the PowerControl app also includes an innovative accelerometer that measures time the g-forces acting on the vehicle in real. With the integrated and configurable warm-up timer, the DTE engine tuning starts after expiry of the specified time and thus at the appropriate engine operating temperature. And the driver determines himself after which warm-up time of the engine the DTE tuning starts. The DTE tuning is now available on www.chiptuning.com as well as in specialist shops. The PowerControl app is available free of charge from the app stores iTunes and Google Play. In addition to the keypad, the new PedalBox+ can also be controlled with the PedalBox app. 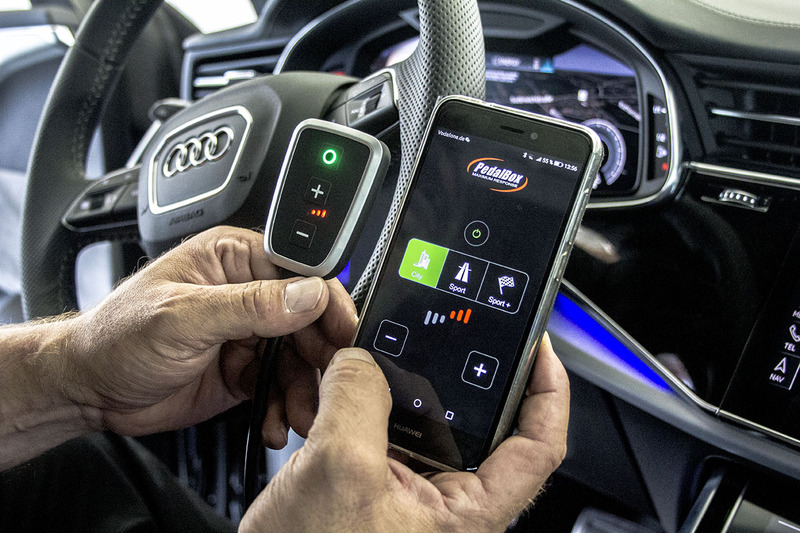 The accelerator pedal tuning can be easily switched on or off with the smartphone. Furthermore, each individual program preset can be customized and saved in the PedalBox app. Thus, the PedalBox+ always starts with the selected driving program and individual preferences. And, of course, the PedalBox app also ensures the most recent software releases thanks to its remote update services. 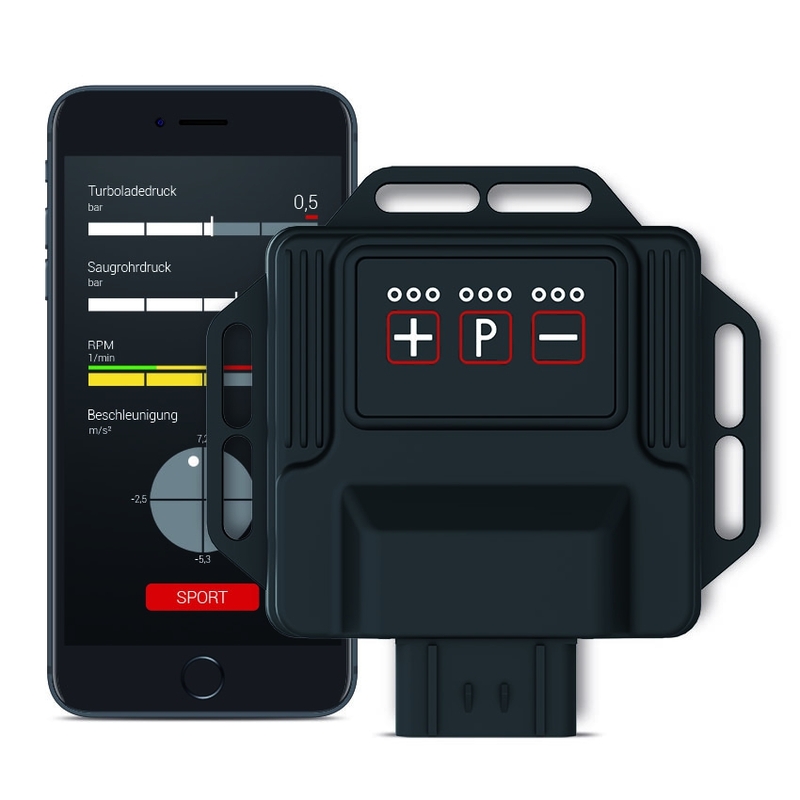 A special highlight: The PedalBox app can be combined with the PowerControl app for the DTE performance box PowerControl X to control both tuning systems. With a simple wipe on the smartphone display, the driver has full control of the individual DTE tuning. The PedalBox app can be downloaded free of charge from the iTunes App Store or Google Play. The DTE pedal tuning is now available on www.chiptuning.com as well as in specialist shops. The PedalBox app is available free of charge from the app stores iTunes and Google Play.